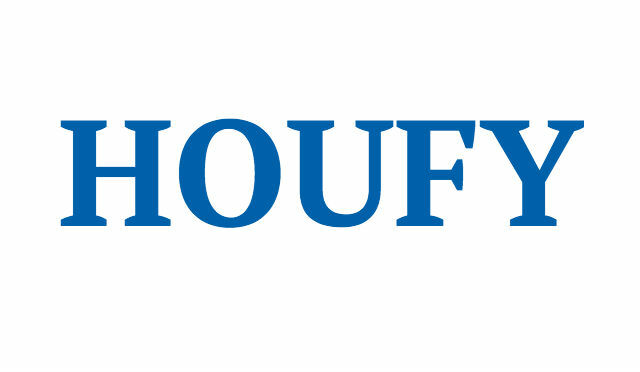 To follow Cheryl Cox, please log in to Houfy or create an account. Paradise found! Enjoy our relaxing pool, ocean views & beautifully decorated 5 bedroom home on Holden Beach, NC! Call to reserve your week today!!! One minute walk to the ocean & five minute walk to great restaurants, gift shops, tennis/basketball courts, playground, pavilion, and church. Beautiful ocean breezes and views in this immaculate kept home. 2)Soap products & paper towels are provided for kitchen. 3)Soap products & toilet tissues provided for all bathrooms. IF you are looking for laid back and relaxing you have found it! Don't want to deal with the traffic and a crowded beach...? You have found your perfect escape...... come on down to Holden Beach! Enjoy Holden Beach and a slice of heaven right here in NC! Quite, peaceful and tons of open spaces...on the beach. The Difference between THEM and US!!!? Charming, classic and comfortable are what you will find in this beautiful, furnished, custom-built beach home. Vaulted ceilings with ceiling fans, light colors, tastefully furnished and decorated rooms with lighthouse and beach motif themes in all rooms. **Two master themed 'beach motif' bedrooms on each level with king size beds in each suite and private bathrooms. Chose the Lighthouse room or the Palm Tree room for your vacation week.....! You decide...! ***Three additional 'beach motif' bedrooms with queen size bedrooms and private bathrooms. Choose from sea shells, surfer or sailboats for your very own bedroom! Needing and wanting a get away from the pressures of everyday work, school and life? You have found the right place to escape. Sit on the ocean side decks and catch the wonderful sea breeze and sun. Rest on the back deck off the lower level master bedroom and look out on the Intercostal Waterway and see the sail boats slip by. Watch the ocean roll and seagulls fly from the spectacular bay window in the kitchen. The kitchen is stocked and equipped for those special cooks in your family who like to prepare special dishes and meals. All amenities are offered throughout the home. Experience the hidden beauty and wonder of the golden shores of Holden beach. Secluded and nestled into nature, you will not find all the busy tourist night life of our big brother cities, but you will love the beauty of the ocean and the sea. Check in time is 4:00 PM. Home must be vacated by 10:00 AM SHARP on check-out day or guest will be subject to a late check-out fee up to twice the daily rental rate for any portion of day the tenant remains on/in the premises. This rent plus, any and all legal fees or other expenses resulting from this late check-out shall be paid by the tenant via Security Deposit. Check-in and Check-out times are strictly enforced to have our home ready for your vacation. No smoking on premises is allowed. Many steps for toddlers. House is more suited for ages 5 and up. There are several flights of steps in our home. Anyone with a mobility issue might find them extremely difficult to navigate. No house/wedding/family reunion parties allowed. Parking for four cars is maxium on the propery. Two (2) cars under each side of the house for four (4) total cars is comfortable. No parking on sidewalks or side of main road. 2) Soap products & paper towels are provided for kitchen. 3) Soap products & toilet tissues provided for all bathrooms. 4) Spices/coffee/cooking oil/condiments/cooking essentials provided. Special 'Opps I forgot-911' Baskets in all bedrooms/ bathrooms with hairdyers and personal hygine products for those who forget to bring the little things. 2 outdoor decks with rockers, furniture and 3 outdoor tables Private walkway is 400 yard to beach and ocean between East Wind and Barefoot ocean front cottages. Two outside showers for clean up of beach toys & bathing. Home is equipped with Security system that can be deactivated at any time. Two cameras facing street offered a extra level of security. We are The Causey's & The Cox's from the Piedmont NC area. We loved the Holden Beach area & wanted to have a place for our expanding families. Today, we are proud of our four generations that scan the ages from 7 -81 & our on-going love affair with the NC coast and Holden Beach, NC continues. We hope you enjoy your stay in our home as much as we have in the past years. Because we wanted our home to be your home, we made sure that our beach home had everything you needed to stay and relax. But the best gift we can give to you is the beautiful breezes & the calming feeling you will feel as you sit & rock on the porch overlooking the ocean waves. 25 years of age & PHOTO ID required of the person signing contract. This person must be on site at the premieres during the entire stay.--no subletting. All monies to be received for reservations 30 days before occupancy via check. Security deposits of $500.00 required at signing of contract. Security deposits are refundable 14 days after vacating. CANCELLATIONS - Cancellation of a confirmed reservation must be received in writing for Guest’s protection up to 30 days of rental. Trip cancellation/interruption insurance is not available through us but is and highly recommended. Property manager on site 24.7. No one allowed to sign rental contract under the age of 25. All guests must be listed on rental contract. No smoking, vaping, or use of illegal substances including marijuana. No house/wedding/family reunion or any parties allowed. No grilling on porches or removing grill from designated location. Only guests on registration contract allowed to swim in pool. Any guest found in violation will be removed. Our home comfortably accommodates ten (10) people and ten (10) is the maximum number of guests allowed in our home including children. We do not have sofa sleepers, nor do we allow sleeping on floors with air mattresses or sleeping bags. No one allowed to sign rental contract under the age of 25. No overnight guests not on the guest list. No pool privileges for anyone not on the guest list.